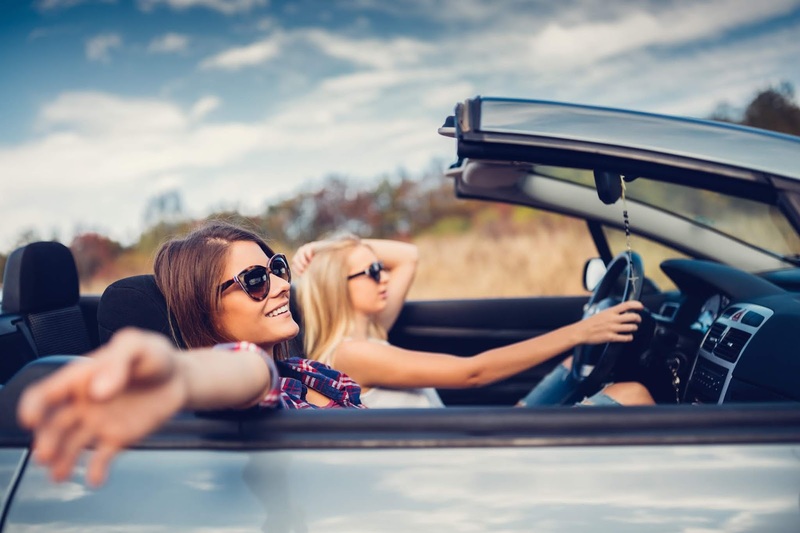 Here at AutoTops Direct, we’re always looking for new, cool ways for you to enjoy your convertibles. Whether it’s small repairs or scenic drives, you know we’ve got you covered! We’ve done some digging around again and have come up with the must-have car accessories we feel will make every drive as leisurely and memorable as possible. While we don’t advocate speeding, we all have had times where that right shoe seemed a little heavier than we remember when we put it on in the morning. A radar detector will not prevent an officer from determining your speed, but it may give you enough time to make sure you are as close to the speed limit as possible when being scanned. Radar detectors easily mount to your dashboard or windshield and plug in to your convertible’s standard DC power outlet. We can’t tell you how many friends, family, and customers have told us about how their dash camera has saved them from liability in accidents. Multiple witness “accounts” will never hold a candle to your dash camera’s footage. Many dash cameras record directly or sync with apps you can download to your phone and easily access the footage in seconds. We are not aware of any insurance policies currently offering discounts for installing dash cameras, but the footage could end up saving you thousands in the event of an accident or lawsuit. Dual USB chargers plug into your convertible’s standard DC power outlet and allows you to charge multiple phones simultaneously. This is a must-have for long trips and remote places where your phone has to work extra hard to send and receive data. If you really want to treat your passengers, pick up a couple extra-long charging cables so those in the back seat can charge their phones while using them. For anyone with a soft-top convertible, a security lock box is essential. Of course, all valuables should be out of site when your vehicle is unattended. But, this added layer of security ensures you won’t lose important gear including mobile phones, jewelry, and money. Many security lock boxes attach to seat mounts or other secure points in your convertible and are portable so you can take them with you if need be. Every vehicle should have a hands-free phone mount. Many cities now require drivers to use hands-free systems under threat of penalty. We just think it’s a really good idea. When driving, it’s important to focus on the task at hand. After all, you don’t want to record dash camera footage of yourself getting into a wreck, do you? We didn’t think so. You should only look at your phone when stopped and should never text while driving – even with a hands-free device. To put it into perspective, if you’re traveling at 60 MPH and look down for just 3 seconds, you’ve traveled 264 feet without looking at the road. That’s 88 yards – almost the full length of a football field! These are just a few of our favorite must-have accessories for convertible drivers. What are your go-to accessories for making your convertible drives as pleasurable as possible? Share your thoughts in the comments below! All these accessories are required for any car. Volkswagen Greensboro, NC who handles repairing services for the variety of cars. Get the repair services at the affordable price.